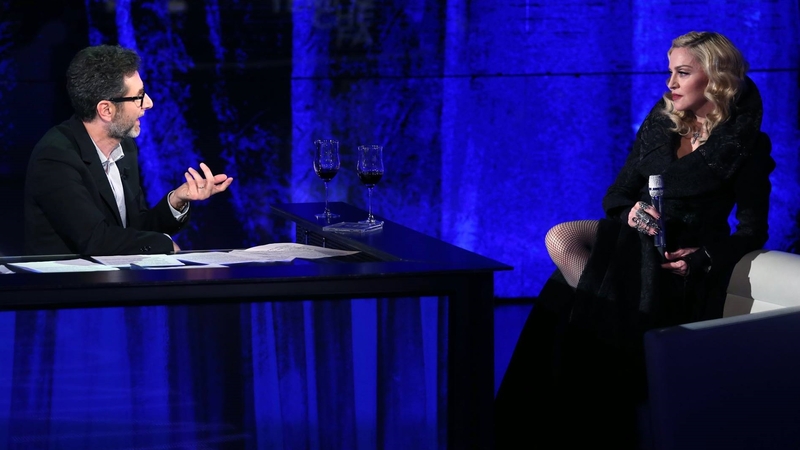 On March 1 2015, Madonna visited Italian talk show, Che tempo che fa, as part of her promotional tour for the Rebel Heart album.In addition to an interview with host Fabio Fazio, she performed Devil Pray for the first time, along with the album’s second single, Ghosttown. Madonna’s appearance on the show aired on March 8th. Madonna-Devil Pray and Ghost Town are brilliant songs on a brilliant record by the name of Rebel Heart. Only trouble is-Radio doesn’t play her anymore! In any case, Rebel Heart is overlooked and underrated! Madonna Forever in her Detroit Brilliance!